The 4midiloop's case is made from a single piece of recycled aluminium. Faderfox was one of the first companies to launch a dedicated controller for Native Instruments' Traktor DJing software in the shape of the DJ2. Now, working in collaboration with Glanzmann Digital DJ Solutions, it's created 4midiloop, which is billed as "the first controller which allows entire and simultaneous control over four decks and four effect slots in Traktor Pro". 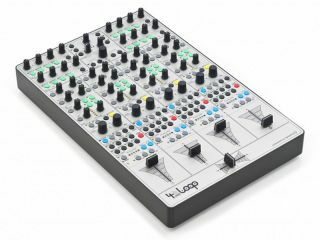 It seems that the 4midiloop is going to be produced to order which, given that it's a €1300 boutique product, seems to make sense. You can place your order on the 4midiloop website.